Interestingly, for most consumers, Dom Pérignon didn’t exist until the 1930s when Moët et Chandon released their first bottling of the trailblazing now iconic prestige cuvée that bears the good monk’s name. 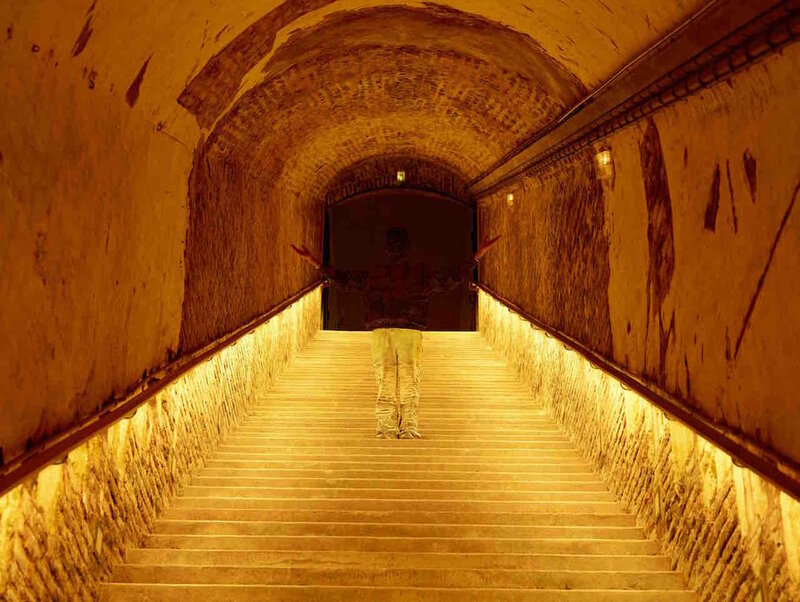 Dom Ruinart, however, was much better know since the Champagne house that bears his name is the wine region’s oldest continually working winery - it has been making wine without interruption since 1729. Today, Champagne Ruinart is owned by LVMH, the same lux-conglomerate that owns Clicquot, Krug and Moët and it’s Dom Pérignon brand. 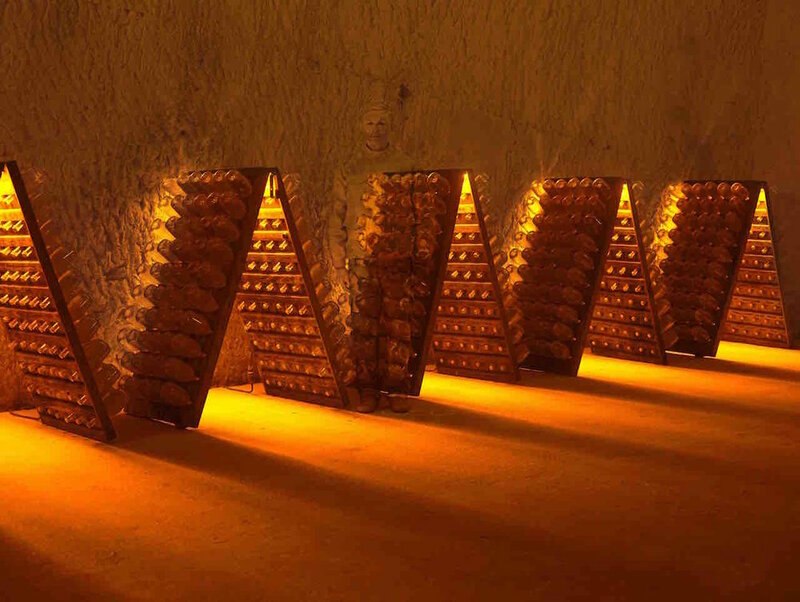 DP, as its fans and investors call it, needs very little marketing to assure its place in the effervescent galaxy, but Ruinart has been a consistently creative force in Champagne. The brand makes a series of stunning, chardonnay-driven wines and, to market them, has created one intriguing advertising and marketing Champagne-campaign after another. 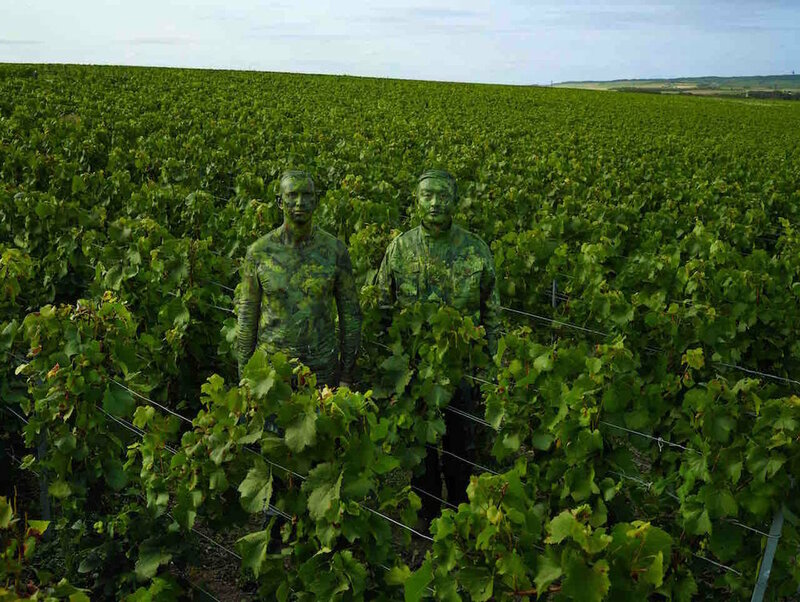 The current effort features a Chinese camouflage artist named Liu Bolin, known to his fans as “The Invisible Man.” I love these photographs in which Liu, often with a friend (in the vineyard shot, he’s camouflaged with Ruinart Cellar Master Fréderic Panaïotis), just melds into his surroundings the way fine bubbles dissolve in great Champagne. Here he is, playing hide and seek in a poster, in the vineyards, amid the gyropalettes, the easels containing bottles for remuage, the bottling line and most striking of all, on the stairs leading up from the cellar. Cheers!